Whilst I will take care to report accurate information and use reputable sources – TheFashionbrides exists only for entertainment purposes. I do not claim to own any images used on TheFashionbrides, unless otherwise stated. Therefore, credit will always be given to the source of every image by posting a direct link to the owners site. In turn, if you wish to re-host any images, it would be appreciated if appropriate credit was given to TheFashionbrides as your source. I will only use images on TheFashionbrides, which I believe to be in the public domain. However, if you are the owner of an image used on TheFashionbrides and find it to violate any copyright infringements please email me at: thefashionbrides@gmail.com and I will promptly remove the image. how and from where to buy it? how much is the dress? 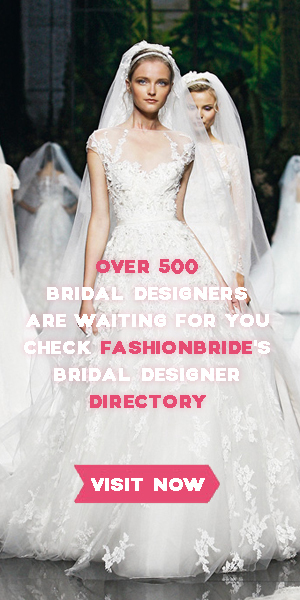 Read the Fashionbride page, pls. It will answear many of you quizes. unde se pot gasi aceste rochii in Portugalia??? someone know how i can buy somthing from this web?